Softsearches – How to remove? SoftSearches.com is linked to the advertising-supported app called DailyWiki. This domain is promoted as a valuable search engine, however, it is actually classified as a browser hijacker. The hijacker has arrived onto your computer together with the adware, and now is affecting your online experience. The goal of these applications is to promote their sponsors as that is how they earn revenue. 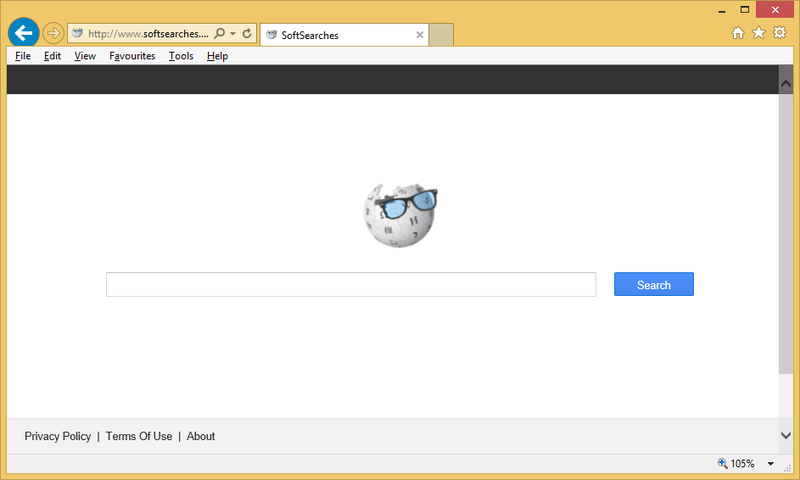 There is nothing useful about them for you, so you should not hesitate to delete SoftSearches.com from your browsers. Much like any other hijacker, Safewebsearches.com, Scangoogle.ru, Kwanzy.com, just to name a few, SoftSearches.comn alters browser settings by replacing your home page and default search engine after it infiltrates your system. The hijacker arrives with the DailyWiki adware that is supposed to be a legitimate program, but in reality it does nothing but flood you with pop-ups, links, coupons, banners, videos, and other ads. If you do not remember installing this software, it means that it arrived onto your PC in a freeware bundle. The trouble with ad-supported apps and browser hijackers is that the adverts that they expose you to are not only distracting and completely unnecessary, but also unsafe. They are not monitored by any scanners, so they could be unreliable and lead you to corrupted domains. You could fall for a scam and infect your system with harmful software, which could result in data corruption, personal information theft, money losses, and more. Although this is the worse case scenario, it is possible. You should not put your computer at such risk without benefiting from the unwanted application in any way. That is why we suggest that you get rid of SoftSearches.com without further delay. Thankfully, a browser hijacker is not a serous infection itself, so you can erase SoftSearches.com manually. Still, the better solution to SoftSearches.com removal would be to use an anti-malware utility. That way, you would be able to scan your PC, detect all issues, and eliminate SoftSearches.com with them. Moreover, if you use the malware remover from our page, you will also make sure that your computer stays safeguarded in the future as the tool comes with malware prevention capabilities, which is always an advantage. If, however, you decide to go the manual removal route and terminate SoftSearches.com yourself, you will need to uninstall DailyWiki from your system as well. Full manual removal instructions are provided in the guide below. You are welcome to use it for further assistance.